Teresita Thomas-Braganza, 86 of Union where she was a resident for the past three years entered into eternal rest on June 13th at University Hospital in Newark, New Jersey. Born January 2, 1932 in Daraga, Albay Philippines. She was a retired pharmacist. She is survived by her children; Amadeo and Liwa, Benedicto and Mary, Dominador Jr. and Haydee Braganza and her siblings Nati, Hermogenes, Jett, Nelly, Baby and Felipe Thomas. A Christian Prayer service and Visitation will be held on Saturday, June 16th from 5:00 pm to 9:00 pm at the Zuasola-Grillo Filipino Funeral Service, 44 Bay Avenue, Bloomfield, New Jersey. A Committal service and the Cremation service will take place on Monday, June 18th at 10:30 am at Rosedale Crematory, Orange, New Jersey. 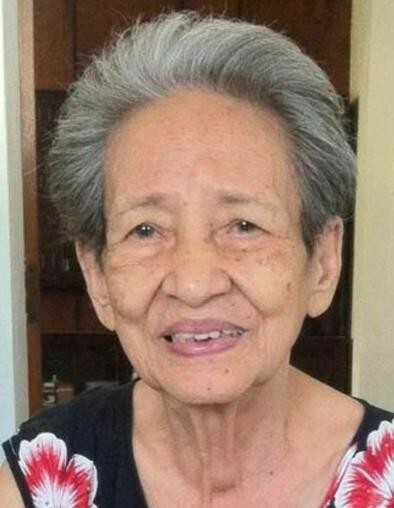 A Memorial service with her family, relatives and friends will be scheduled at a later date (sometime next year) in Legaspi City, Philippines.